When summer draws near, it must mean Ardbeg Day is coming, too. Ardbeg has long chosen the last Saturday of Islay’s “Feis Ile” Festival of Music and Malt to celebrate, well, itself, by releasing a new, limited-edition “Committee Edition” single malt. This year, the Distillery is resurrecting the island’s carnival traditions. In an Islay time gone by on the last day of the Feis Ile Festival, locals transformed everything from tractors to tricycles into magnificent floats. If it had wheels, they decorated it. Honking and tooting its way through Port Ellen and eventually to Ardbeg, this typically Islay cavalcade of colour represents a long-standing love for festivity on the island. Ardbeg Day will be held on Saturday, 1st June 2019. 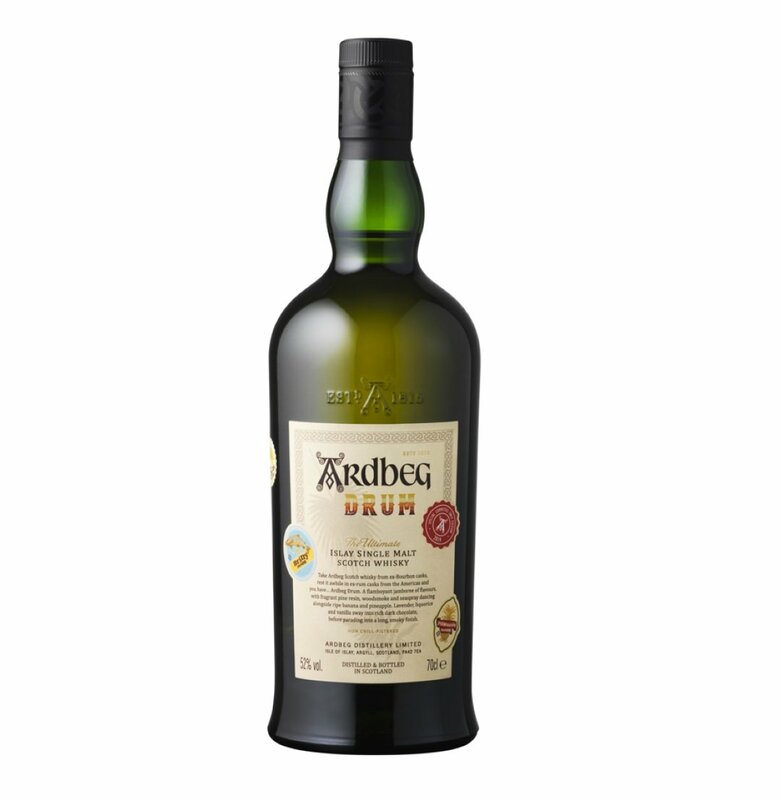 Inspired by Islay’s rich history of carnivals, Ardbeg will release Ardbeg Drum – a limited edition bottling imbued with the ultimate influence of carnival spirit, rum. In a first for the Distillery, Ardbeg have taken Ardbeg single malt from ex-Bourbon casks, and rested it awhile in ex-rum casks from the Americas to coax out tropical tastes. Distillery Manager Mickey Heads said: “The Ardbeg Day Carnival is about embracing all things tropical. From music and dance to food and fashion, we’re all set to revel in both culture and character. And we’re delighted to introduce Ardbeg Drum – a celebration of all of the mixed up, mashed up influences that make Ardbeg, Ardbeg. So to recap, Ardbeg fans, what you’re getting is a typical bourbon-barrel matured heavily peated single malt that’s finished in rum barrels. There are no age statements here, but as is typical with these releases, the finished product is bottled at high proof — 52% abv, in this case. Rum casking can go a long way to softening up notoriously tough Islay whisky, but here the impact of the finishing barrel feels modest at best. The nose is smoky as expected, briny with maritime notes, though with just the lightest hint of pineapple that catches in the back of the nostrils when you inhale deeply. The palate provides less fruit, offering instead a more traditional Islay construction. Here again, beefy barbecue smoke, briny olives, and fireplace ash combine to provide a more typical presentation of peat. I do catch a healthy squeeze of orange oil early on as the body builds, but it’s fleeting, providing a quick burst of sweetness that, tragically, fades before you really have the chance to grab hold.